Ciao! 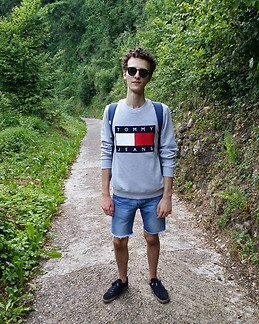 My name is Jacopo, I'm Italian and I currently study International Studies at the Univeristy of Milan. I'm going to study at Vilnius University (VU) during the autumn semester and I'm looking for a roommate to share a flat with from the end of August 2019 till the end of January 2020. I am very open-minded and I personally believe that the golden rule of a good living among rommates is working as a team where eveyone is willing to play its part. Rommates who enjoy tidiness are very appreciated. I don't have particular requests concerning the flat as long as it's in a good location easily reachable with public transport and it offers personal spaces.